Investing in REITs, otherwise known as real estate investment trusts, isn’t all that different from navigating the country’s major stock markets. In fact, REITs are traded almost exactly like their stock counterparts on each of the major indices: Dow, S&P 500 and Nasdaq. That said, REITs are unique enough to warrant their own name, and even their own section on Wall Street. While REITs do share a lot of similarities with traditional stocks, there are a lot of differences that curious investors should pay special considerations to — that is, if they want to improve their bottom line. If you are interested in investing in REITs, it’s in your best interest to know what those differences are; only then will REIT investing become a valuable part of your portfolio. “In the same way shareholders benefit by owning stocks in other corporations, the stockholders of a REIT earn a share of the income produced through real estate investment – without actually having to go out and buy or finance property,” says REIT.com. In other words, it is entirely possible to invest in commercial real estate without the added responsibility of becoming a landlord or even marketing for properties. REITs have become synonymous with the same benefits of real estate investing, but without the hassle. You see, it’s possible to invest in real estate through an REIT without actually owning a physical property. What’s more, REITs add in many of the advantages of publicly traded stocks. The unique combination of benefits has provided investors dividend-based income, competitive market performance, transparency, liquidity, inflation protection and portfolio diversification. What more could you ask for? Liquidity: As far as real estate investments are concerned, REITs enable their respective investors to remain in a relatively liquid position. REIT investors are more likely to exercise regular, tactical asset allocation with ease. In other words, REITs won’t tie up all your capital in the event something else comes up. Rebalancing your portfolio is as simple as making a few adjustments. In addition to all of that, REITs can represent an entirely level investment, and a great for first time investors. Diversification: As I already alluded to, REITs enable investors to invest in individual companies that own or finance income-producing properties. That means investors can invest in companies in specific industries. For example, some REITs host movie theaters, retail stores, apartment buildings and even restaurants and healthcare facilities. And, as it turns out, each REIT’s performance is tied directly to its industry — for the most part. So if you want to diversify your holdings, few assets will allow you to do more so than REITs. Transparency: In order to be classified as an REIT, the individual companies that own or finance income-producing properties must stick to a corporate governance aligned with shareholders and abide by certain rules set forth by the FTC, not the least of which requires them to pay out a specified amount of dividends to shareholders. Dividends: REITs are required, by law, to pay out at least 90 percent of their taxable income to shareholders annually in the form of dividends. Performance: REITs have outperformed the broader stock market indices for the better part of 25 years. How Much Money Do I Need To Invest In REITs? I want to make it abundantly clear: you do not need a lot of money to invest in REITs. In fact, you can invest in REITs for as little as a few dollars, or however much a single share sets you back. Again, unlike physical real estate assets, REITs allow you to invest in part of a real estate company. That means you can invest as little as a single share costs. It is worth noting, however, that each REIT will come with a different price tag. Take Apple Hospitality REIT Inc., for example; the hotel REIT trades for $17.83 per share at the time of this writing. In the last 52 weeks, Apple Hospitality’s price has fluctuated between $16.72 and $20.19. Therefore, it’s safe to assume you’ll pay that much for a single share of this particular REIT. Of course, you can certainly invest in as many shares as you want, so the amount you pay to invest in REITs is entirely up to you. There’s no reason you couldn’t buy 100 shares of an REIT you like, or even 1,000. How much you need to invest in REITs is entirely dependent on your strategy. While physical real estate assets and REITs are intrinsically tied to each other, there are inherent differences. Investing in traditional real estate, for example, will have you invest capital in a physical asset; you literally spend money to own a piece of real estate in your name. As a result, you are directly responsible for the performance of the particular asset; good or bad as it may be. Real estate investment trusts, on the other hand, will have investors buy what are essentially the stocks of companies that own or finance income-producing properties. That’s an important distinction to make: When you buy an REIT, you are not taking control of a physical asset, but rather buying into a company that will do the heavy lifting. Mind Due Diligence: Prior to committing to buying an REIT, study up on the industry and determine whether it’s something you can see yourself involved in. The only way to succeed, for that matter, will be to know what you are getting yourself into. Therefore, it’s in your best interest to know the ins and outs of the REIT industry. How are assets bought and sold? Do you know what numbers to look at on the stock market? The stock market can be an intimidating place to someone that’s never worked in it, so get your bearings before you dive in headfirst. Do Your Homework: In addition to familiarizing yourself with how Wall Street works, it’s in your best interest to have a good idea of how each individual REIT operates. Again, REITs can be very diversified, so you should study up on each REIT you intend to invest in. What are trends pointing to? Is the REIT currently resting at its 52-week high, or maybe its low? Perhaps even more importantly, what are the future prospects of the particular REIT? Determine Your Exit Strategy: Why is it that you are investing in REITs in the first place? Is it to supplement your golden years of retirement? Do you want to “short” some trades to make a quick buck? Whatever the case may be, certain REITs have more value as long-term holds, and others are great for day trading. Determine what it is you want to accomplish first, then form your exit strategy around the REITs that best suit your needs. Buy An REIT: Once you are convinced that REITs are they way to go, and you are confident in the REIT you want to buy, simply sign up anywhere that allows you to trade on the Stockmarket. E-Trade, Robbinhood and Scottrade are all great places to purchase and sell REITs. In order to determine whether or not investing in REITs is right for you, it helps to weigh this particular exit strategy’s pros and cons. In doing so, you may be able to determine if you should invest in real estate through Wall Street or through acquiring physical assets in your name. Performance is tied directly to occupancy rates. Increased vacancies could really hurt an REIT’s value. Share prices are directly correlated to property values. Shares may take a hit when the stock market experiences a down cycle. Share prices can fall with the broader stock market based on supply and demand of shares. Rising interest rates are a sign the economy is improving, but they are bad news for REITs. Rising interest rates signal more overhead expenses that eat into profits. To be classified as an REIT, a company must pay out at least 90 percent of their income as dividends. Adding REITs to any portfolio can diversify and protect it from unexpected fluctuations in a given market. REITs make it possible to invest in real estate without the prospect of taking on a physical asset. REITs are more liquid than typical real estate investments. Investing in REITs has proven to be a sound investment strategy. Over the last quarter of a century, in fact, REITs have outperformed their traditional stock counterparts on Wall Street. 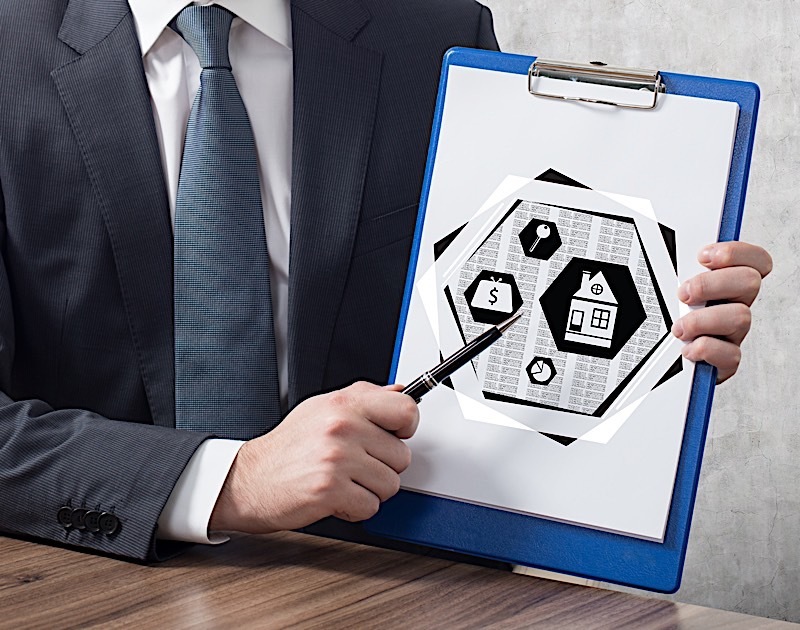 What’s more, REITs offer a great entry point into the world of real estate investing for those are curious about what the industry has to offer. However, it’s not wise to simply jump in and start investing without knowing anything; you need to have a solid foundation. Hopefully this primer was enough to get you started. Investing in REITs is a great way to dip your toes into the real estate investing waters. If you know how to invest in REITs, you may already have the ability to diversify your portfolio in a way few other things can.